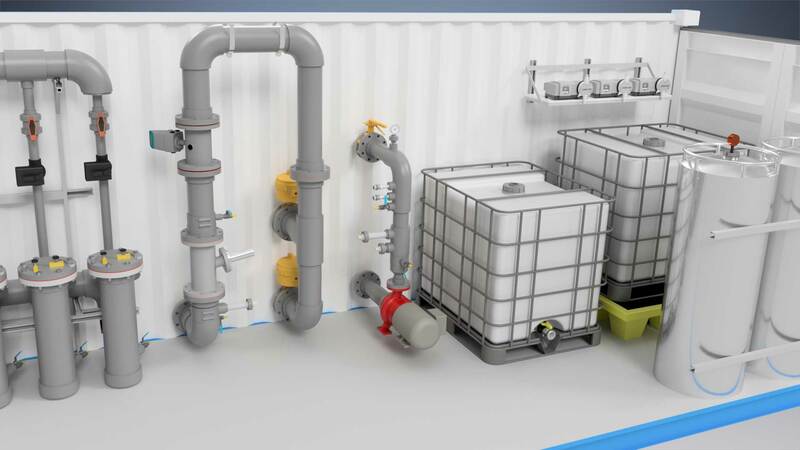 The WaveIonics system uses Electrocoagulation Enhanced Filtration technology to remove Total Suspended Solids, Heavy Metals, Emulsified Oils, Bacteria, and other contaminants from water. 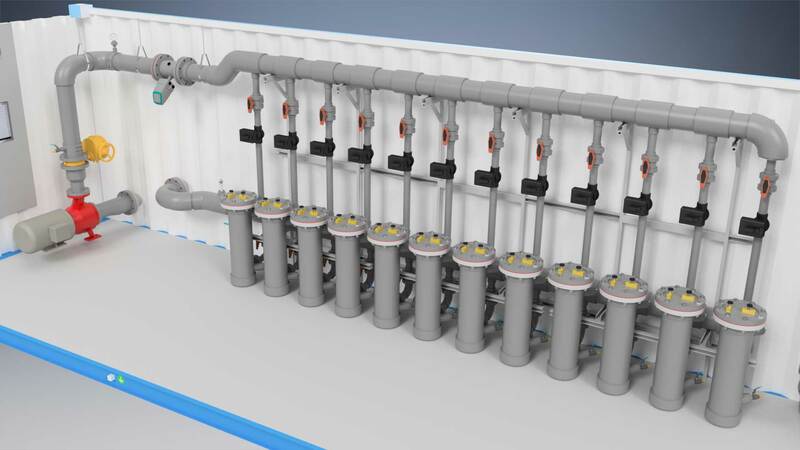 This system is suited for applications such as oil & gas produced water, mine process water, industrial storm and wastewater, and construction stormwater. 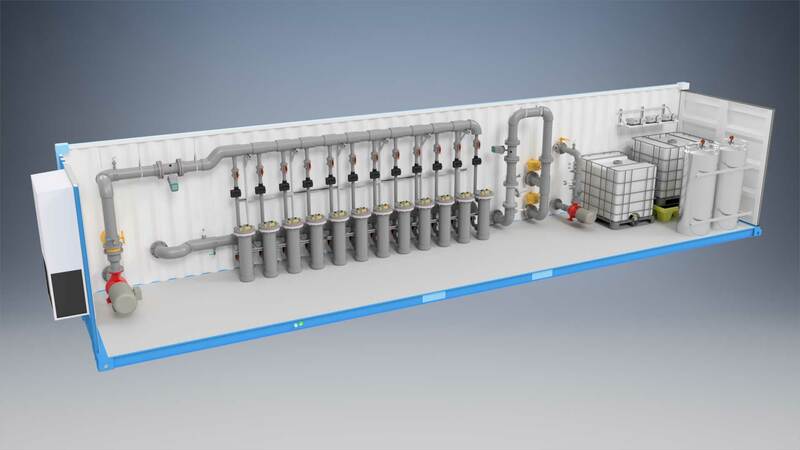 The process is completely automated and includes real-time water quality monitoring, data logging, and a water quality recirculation valve that ensures effluent water meets user-defined discharge criteria before leaving the system. Configuration options include containerized, skidded or cabinetized. To learn about the WaveIonics system and see a step-by-step process overview, scroll down to the “How It Works” section of this page for the WaveIonics video. 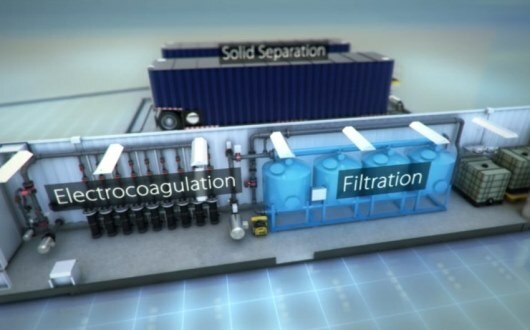 The WaveIonics automated process consists of three key steps: electrocoagulation, solids separation and filtration. 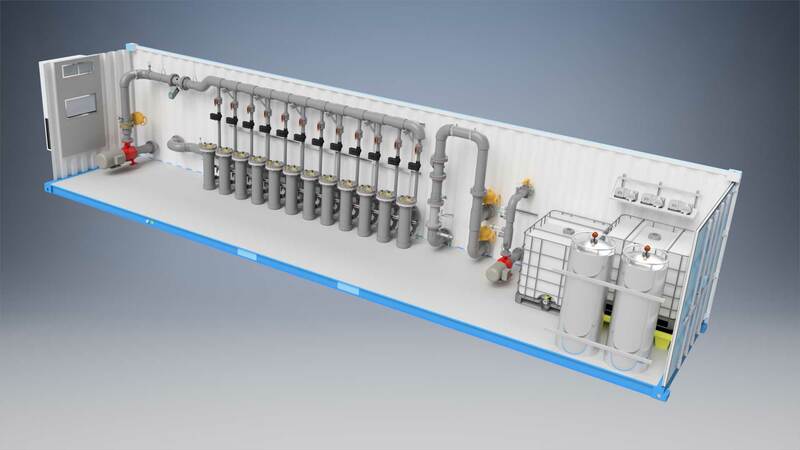 Depending on influent water characteristics and effluent water goals, additional process steps and equipment can by easily integrated. All containerized or skidded systems meet UL508 manufacturing standards. Specific builds for hazardous locations (i.e. Class 1, Div 1 or Class 1, Div 2) are available. The entire treatment system is controlled by a process automation system that minimizes labor and sends out phone or email alerts during system operations. Approved as a General Use Level Designation (GULD) technology by the Washington State Department of Ecology. Watch our video to learn about the WaveIonics system and see a step-by-step process overview.